At White Orthodontics, we are proud to offer the most cutting-edge technology and orthodontics available today. 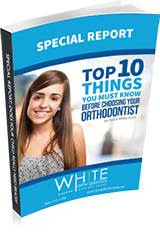 When it comes to braces and orthodontics, you have choices. 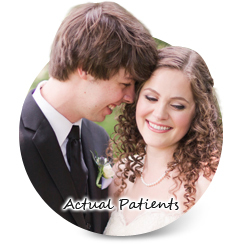 No two smiles are the same, and our mission is to provide the most individualized treatment plan possible. We take the time to discuss your dental history and your concerns, while examining your mouth, jaw and facial symmetry. This helps us recommend orthodontics that reflect what’s best for you. 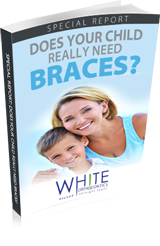 Regardless of age or orthodontic concern, the team at White Orthodontics has the knowledge and the skill to provide you with effective, innovative treatment that goes beyond simply straightening your teeth. Dr. White is the leading authority in Bio-esthetic Smile Design. His advanced training is incorporated into a treatment plan that gives you the healthiest smile possible by utilizing holistic and innovative solutions for orthodontic treatment. Throughout Dr. White’s 20+ years of experience, he has seen patients with an attractive smile who still experience problems because their bite was never properly corrected. At White Orthodontics, our highly trained staff can offer expert advice on the best treatment solutions to improve your smile. Bio-esthetic smile design is intended to provide both the beautiful smile you want and the healthy bite that you need! To learn more about the Bio-Esthetic Smile Design System, click here. 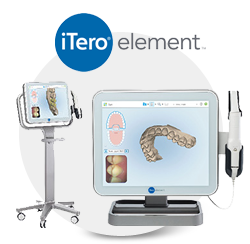 iTero Element provides faster, more precise scanning, ensuring more efficient results with your orthodontic treatment. This innovative technology eliminates the need for messy impressions to fit braces for you or your loved one. At White Orthodontics, we utilize this high-tech scanning option, to obtain better images of your teeth to make your treatment process as effective as possible. Having better information before orthodontic treatment means better results when your treatment is complete. 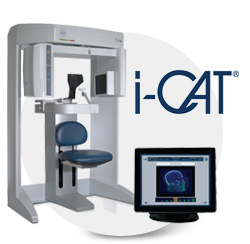 Dr. White is one of very few orthodontists to offer the innovative CBCT iCat 3D Imaging Technology. This three dimensional, cone-beam scanning system is used right in our orthodontics office, and provides high resolution images of your jaw and teeth. The entire scanning process takes only 9 seconds and allows us to provide you with more precise treatment than ever before. If you are looking for a truly advanced solution for straightening your smile, SureSmile and White Orthodontics have the most efficient and accurate treatment available. Dr. White uses SureSmile to create a 3D-image coupled with a predicting software to determine the most time-efficient and accurate course of treatment. Additionally, SureSmile utilizes a robotic arm to bend the archwire, adding to the truly accurate nature of this technology. If you want to find out if you are a candidate for SureSmile, take advantage of your complimentary White Orthodontics Smile Analysis and Dr. White will help you determine if SureSmile is the best treatment solution for you and your lifestyle! Typically, an orthodontist will place each bracket on each tooth individually. Unfortunately, this is time consuming for you and can result in errors if one or two brackets are misaligned even a tiny bit. Fortunately, Dr. White uses a technique known as indirect bonding to apply the braces. Before you arrive, Dr. White places the braces on a cast or mold of your teeth with special instruments to ensure that they are located precisely on the teeth. Because the braces are applied to a model of the teeth and not directly in the mouth, Dr. White is able to see more clearly because there are no cheeks, lips, or tongue to obstruct his view and he can take all the time he needs to make sure that the braces are positioned properly. For you, this means a lot less time in the dental chair and a much better bite and a more beautiful smile. And because your braces are placed more accurately than with the traditional approach, your braces come off sooner! White Orthodontics utilizes a Bite Simulator to help create a perfectly aligned smile. This technology helps Dr. White monitor the alignment of your jaw and bite throughout your treatment to create an ideally perfect smile, as well as a healthy bite. You’ll find that many Richmond orthodontists simply don’t use a bite simulator because a healthy bite is often overlooked in the process of creating a straight smile. Dr. White believes that a healthy bite is the foundation of a healthy smile. Make sure that the orthodontist you ultimately choose uses a bite simulator to correct your bite in addition to straightening your teeth.